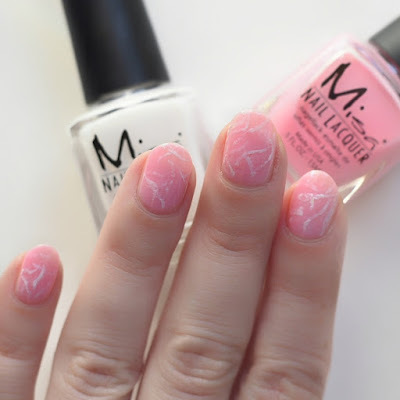 I fell in love with the rose quartz nail art look and watched several different marbling tutorials. I took a little bit from each tutorial and decided this worked best for me. This is definitely not my original idea, but I love the look, so I decided to share it with you! First, prep your nail and then apply two coats of Misa Cosmetics Future Is Female. This is the perfect polish for this look because it's not an opaque crème, but has more of a translucent crelly formula. 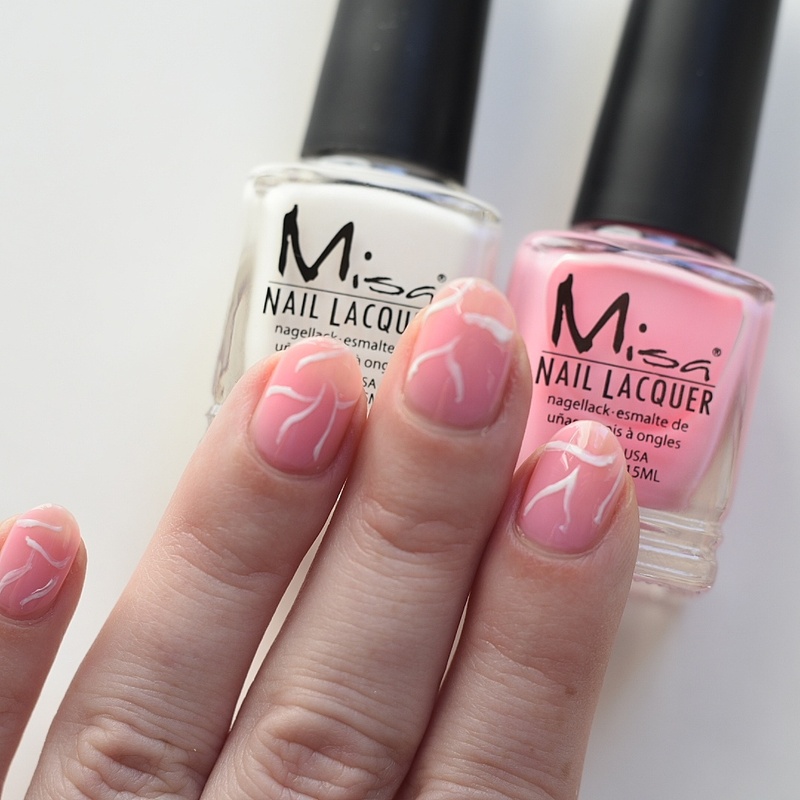 Using a thin brush, apply wavy lines of Misa Shatter The Glass Ceiling randomly on the nail. Dip a brush in acetone, blot on paper towel to remove excess, and tap on the white lines. This will blur out the lines. Apply one coat of Future is Female. 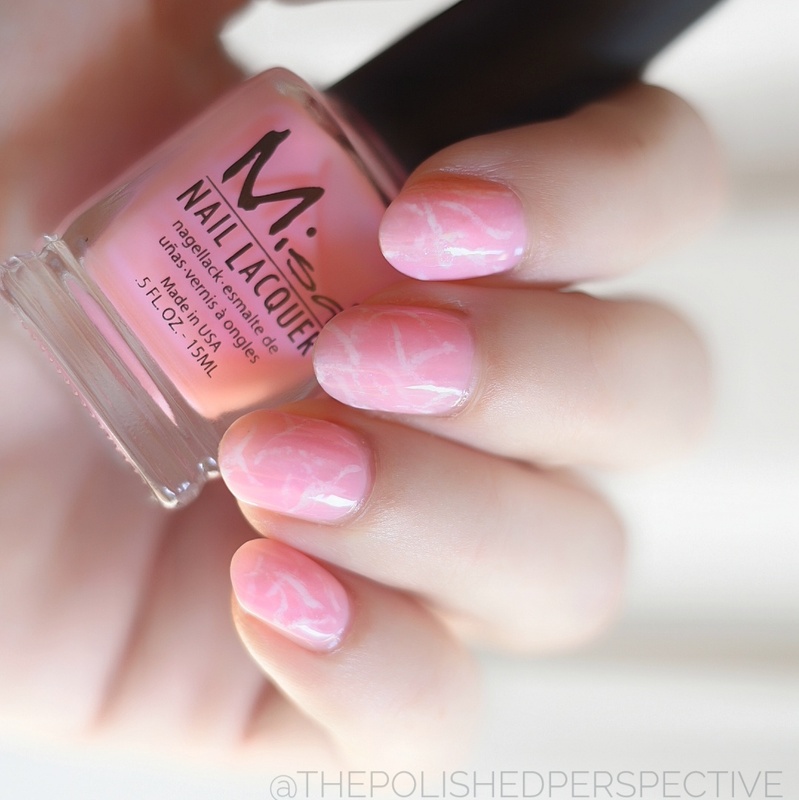 Apply two coats of your favorite thick top coat and you're done! I love this look and it is so easy to accomplish! Do you love this look as much as I do?